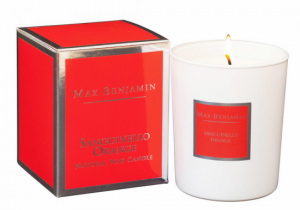 I’m completely obsessed with this brand new fabulous candle sent to me by the lovely folks at Max Benjamin; orange is one of my favourite scents ever and this candle certainly does not lack in that fabulous citrus scent. Having NEVER tried them before, when the lovely folks at Colonial Candle contacted me about doing a review, I jumped at the chance. I had a browse around their site, and it all just became one big online wishlist for me; not only did their candles look great but all the different scents sounded just heavenly. I was over the moon (still am) when two AMAZING candles arrived at my door, from The Collection range. UPDATE 22/10/2015 – You’ve probably found this page after searching for something relating to Coley & Gill. When I picked it up I couldn’t really smell the vanilla which in many circumstances would have made me put it down but it was only one pound. When I was lighting the candle I did notice that the design of the candle made a pretty pattern that made me say oooh! But the smell was where exactly?! Also the wick kept disintegrating and I ended up with speckled wax. Urgh. I have a teeny tiny spoon that I use to scoop it out, I don’t have OCD but that makes me get very OCD. 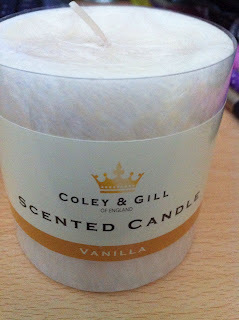 When I got about 3/4 down the candle it started to smell but it wasn’t vanilla, it was a burning smell. 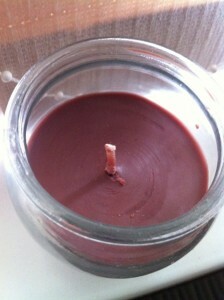 I know how to burn a candle, trim a wick etc and as soon as it started smelling like a bonfire it was in the bin! Obviously I blew out the flame and let it cool first. It was just £1 so I don’t feel too annoyed but I did a bit of digging and found out that they do quite a few scents and started to think why bother, seems like a company that needs to perfect it’s candle quality first before going into lots of scents. Particularly as they don’t smell! Even for £1 I’m disappointed not by the price but by how much I love candles and when I get one that’s not so good, it makes me have a sad face. 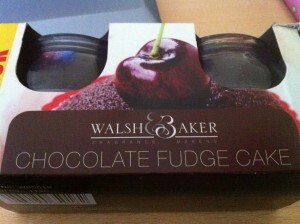 Oh and want to eat cake. I just love random awesome finds, don’t you? While I was out doing some shopping for groceries and stuff, I found Skittles candles! 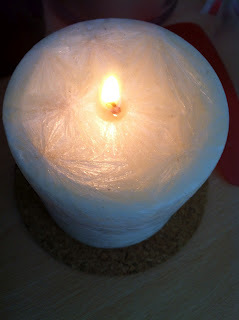 Another review of the candles from my recent Poundland trip and these are pure lush! Love these. Two candles for a £1 so yep folks that’s one candle for 50p and these are chocolate fudge ones. Nom nom nom! These pots smell like chocolate fudge cake gooeyness. You know the cakes that make you put on about 10lbs by just looking at them well this smell is all that in a candle and YOU CANNOT EAT IT! Possibly the most frustrating candle I’ve had in a long time, I did treat myself to an apple pie instead. It sort of helped with my craving for rich chocolate cake. Sort of. They are cute little pots and like the M&M candles review that I did, you can reuse the little pots for other candles. See these just get better and better. The main issue with these is you’ll be hungry until about an hour after you’ve blown out the wick. The smell is so intense and it lingers. There are other scents in this collection but I’ll need to get some low calorie snacks in!